It’s time to show local heroes some love as Blackburn with Darwen’s Community Volunteer Awards open for nominations. 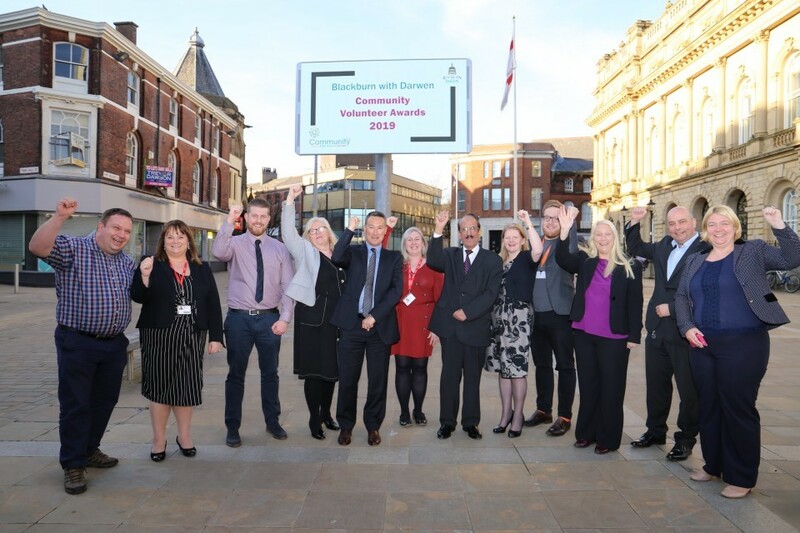 Blackburn with Darwen Borough Council has teamed up with Community CVS and a range of local sponsors to launch the new awards, which aim to recognise the contributions community groups and individuals make to life in our borough. Whether it’s a sports coach who gives up their evenings and weekends, someone special who lends a hand at a local charity, or a group that makes a real difference to where you live – nominate them now for the 2019 Community Volunteer Awards. For the first time, the Council’s Good Neighbour Awards will be presented alongside the annual Community CVS Awards and there are opportunities for residents, local businesses, charities, community groups and social enterprises to be nominated for awards. Our borough is powered by an army of volunteers who selflessly give up their own time to make where we live the very best it can be. I’ve been incredibly privileged to have met many volunteers and seen first-hand the amazing work they do. In total, 21 awards will be up for grabs across 12 categories including Volunteer of the Year, an Environment Award, Grassroots Award and the Community Involvement Award, which is open to the local business community. It’s great that we are bringing these awards together to honour our borough’s unsung heroes and it is fantastic to see the local authority, Community CVS, the local charities and the local business community all working together to celebrate the impact of volunteering within our community. We have lots of people who wouldn’t even class themselves as volunteers – they just see it as helping out, but they are making a big difference. The closing date for nominations is Friday 5 April. Nominations can be made online at www.communitycvs.org.uk/volunteer/volunteer-awards/. You can also collect nomination forms from Community CVS at the Boulevard Centre, Railway Road, Blackburn – next to Blackburn train station – or contact Donna Talbot on (01254) 583957 or donna.talbot@communitycvs.org.uk. The Community Volunteer Awards will be presented at a special celebration in King George’s Hall in June. Among the sponsors of the 2019 Community Volunteer Awards are Euro Garages, Blackburn Rovers Football Club, Blackburn Rovers Community Trust, Herbert Parkinson, East Lancashire Hospitals Trust, Social Inclusion Programme and Together a Healthier Future, Blackburn Youth Zone, Age UK, Shelter and Personalising Freedom.